This remarkably rich and multifaceted study of early Greek exploration makes an original contribution to current discussions of the encounters between Greeks and non-Greeks. 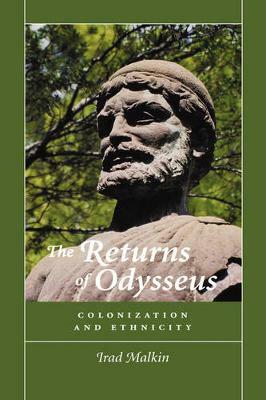 Focusing in particular on myths about Odysseus and other heroes who visited foreign lands on their mythical voyages homeward after the Trojan War, Irad Malkin shows how these stories functioned to mediate encounters and conceptualize ethnicity and identity during the Archaic and Classical periods. Synthesizing a wide range of archaeological, mythological, and literary sources, this exceptionally learned book strengthens our understanding of early Greek exploration and city-founding along the coasts of the Western Mediterranean, reconceptualizes the role of myth in ancient societies, and revitalizes our understanding of ethnicity in antiquity. Malkin shows how the figure of Odysseus became a proto-colonial hero whose influence transcended the Greek-speaking world. The return-myths constituted a generative mythology, giving rise to oral poems, stories, iconographic imagery, rituals, historiographical interpretation, and the articulation of ethnic identities. Reassessing the role of Homer and alternative return-myths, the book argues for the active historical function of myth and collective representations and traces their changing roles through a spectrum of colonial perceptions--from the proto-colonial, through justifications of expansion and annexation, and up to decolonization.